Shredded and sieved larch bark grown in the Alps is the Main Soil Mix Ingredient. Growth tests aproved Its effectiveness. A small part of the tree leaf compost provides a natural source of nutrients and the raised bog peat improves the ability to absorb moisture and quickly deliver it to the plant. 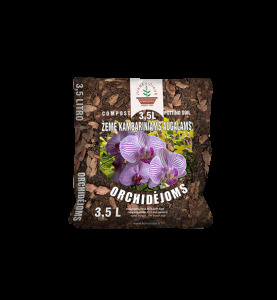 Most common orchid species will grow well in this Soil Mix, but it is not suitable for the Cymbidium group of orchids, which like a heavier soil. AgroDrainage is made of odourless burnt clay granules. 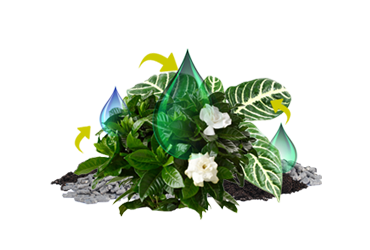 The most important and unique aspect of this product is carbon powder covering, which disinfects plant roots damage during replanting. It is also naturally dark and visually attractive. Usable for repotting houseplants. 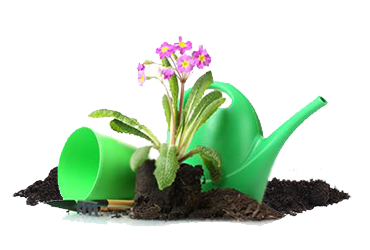 Add AgroDrainage to the bottom of a pot before adding soil to improve the aeration of roots and prevent root rot. Drainage layer allows excess water to get out of the soil more quickly and away from roots before they can be damaged. Also spread AgroDrainage on the top of the pot (especially for large plants) to improve the aesthetic look and to reduce water evaporation as well. 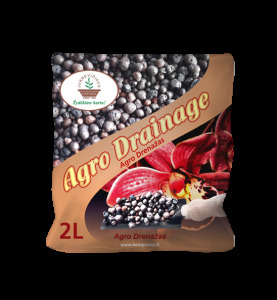 The fertiliser contains the nutrients and iron that significantly accelerate the growth of plants. Iron is a nutrient needed for generation of chlorophyll and assurance of other vital functions. 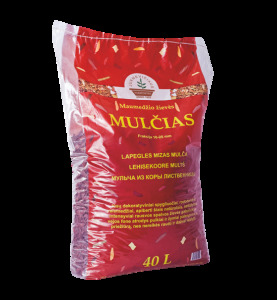 Recommended for decorative green-leaved, terrace and outdoor plants. 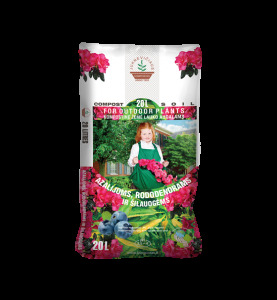 This special mix of organic substances is intended for the cultivation of azaleas and rhododendrons. The most important features of the mix are its acidic medium and its long-term fertility. These characteristics also make it very suitable for the cultivation of blueberries and hydrangeas. Mulching soil is an old method to avoid the growth of weeds. These natural reddish-brown colour bark bits (without any artificial coloring) saves the soil moist and decorates flowerbeds, bushes, rock-gardens and etc. Can be used for all type of plants. Spread it around plantings and landscape subjects to insulate and retain moisture, reduce erosion, provide nutrients, and suppress weed growth. 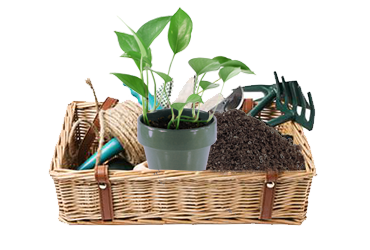 Enrich well-maintained look of Your garden! IT'S TIME TO REPOT PLANTS! "The core value of “Juknevičius Compost” company is not only based on current actions and skills, but also the right environmental strategy which in 1995 founder of the company, Dr. Leopoldas Juknevičius has chosen." "If composted plants are infected, then healthy plants fertilized with the resulting compost can be immune from the causative agent or recover faster."